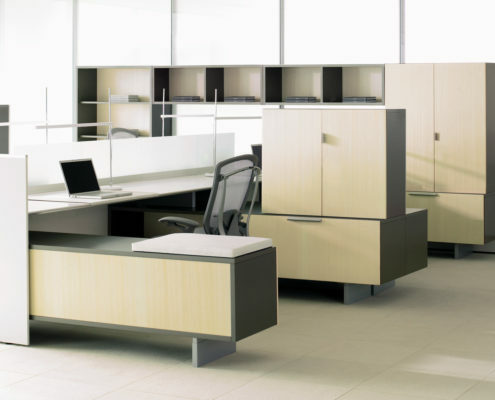 District® is a collection of desks, cabinets, windows and walls that reinterprets systems furniture. 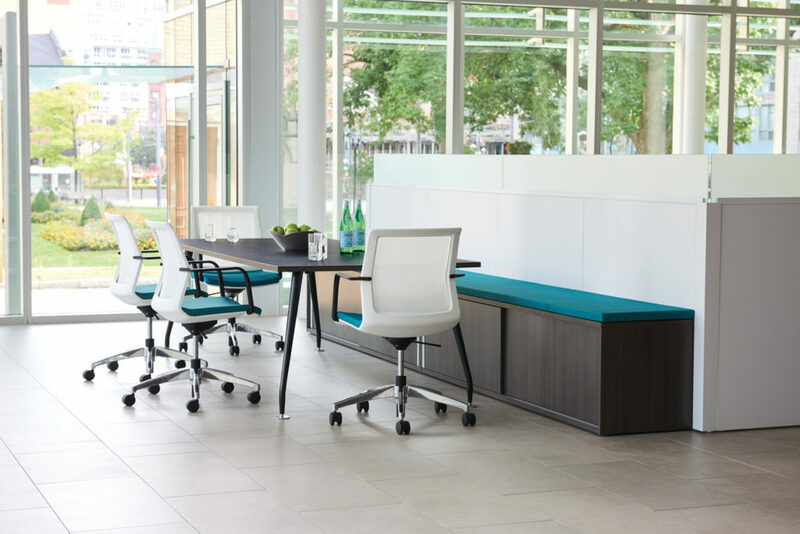 District combines the attributes of classic furniture with the functionality of systems, making efficient use of smaller footprints. District echoes the work of mid-century modernists who designed office furniture with characteristically low, horizontal lines. The elegant architectural furniture of this period had a remarkable transparency achieved by elevated cabinets, overlapping surfaces, and a refined scale. 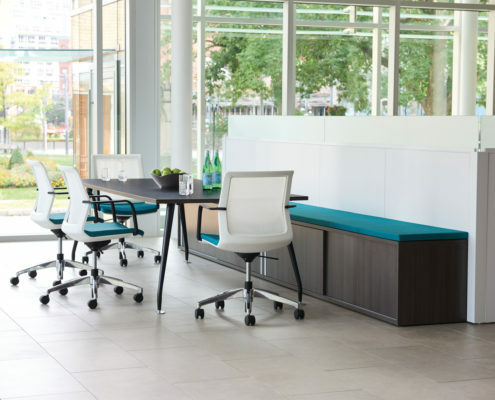 District uses and reinterprets these elements for the modern office. District is also influenced by modern European residential furniture, characterized by a light, floating presence and compact dimensions. The use of natural veneers, glass, painted wood construction and anodized aluminum reflect these inspirations and brings the look and feel of furniture to the open plan. Some design elements that enable District to make the most out of small spaces include the use of multi-functional components, maximizing the utilization of space within storage units and offering smaller scale versions of traditional storage. Credenzas, bookcases and storage towers support worksurfaces, reduce clutter and define space. Narrow, small-scale storage units stacked on credenzas also serve as space dividers. Large windows starting at worksurface height open up the workstation. 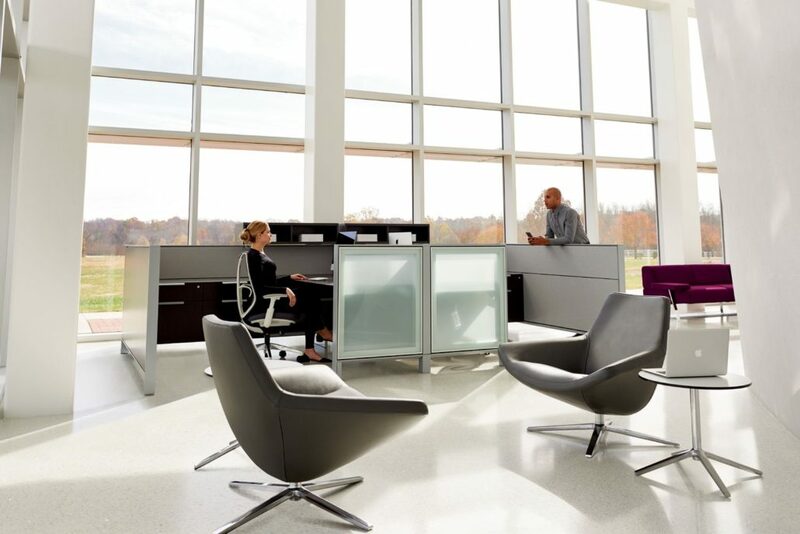 The emphasis on lower, more transparent workstations responds to LEED (Leadership in Energy and Environmental Design) requirements for light and view. 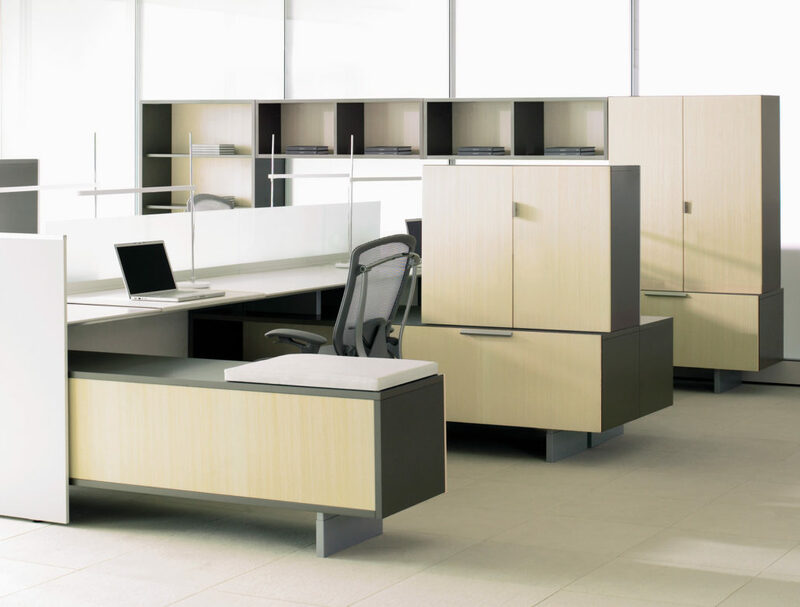 Multi-functional components create unique workstations for an entire floor plan, meeting diverse application requirements ranging from freestanding desking, storage spine applications and private offices while providing the unified look of a district. Overlapping surfaces and under-surface storage make even more efficient use of space.